greeter-session=lightdm-webkit2-greeter to greeter-session=slick-greeter and i install lightdm-settings and here comes the problem. Your logs and config are the same like what i get here. Or do you have this only with this specific wallpaper folder? 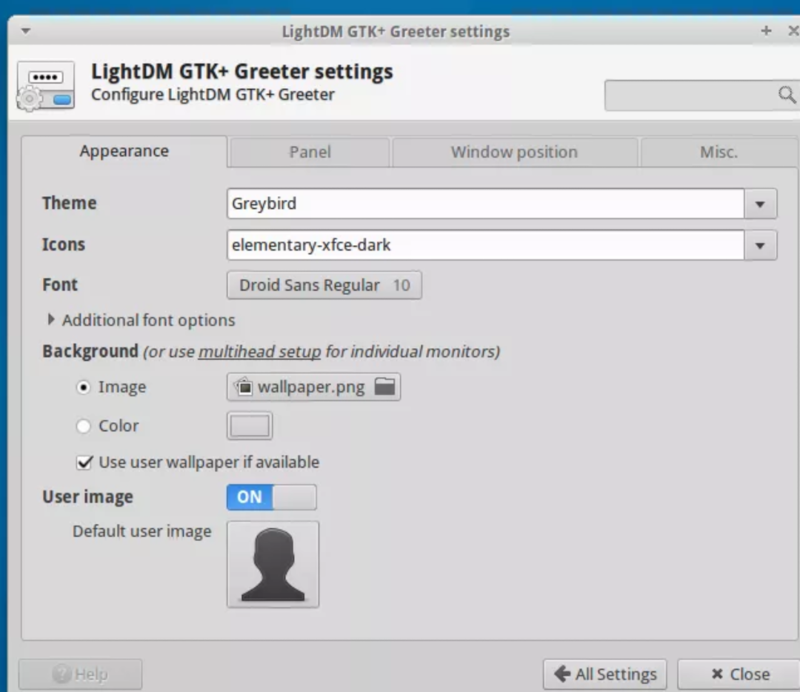 this reminds me on a option from like: use wallpaper from user if aviable… but this is from lightdm-gtk-greeter ? It’s a new feature of slick-greeter and it’s also a lightdm-settings bug as I reported here https://forum.antergos.com/topic/10083/missing-lightdm-settings-option. Note also that if you run lightdm-settings without sudo privileges, you get the option! (But of course you can’t save any change that you made).